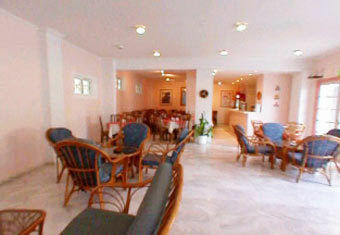 Superior Tourist Class Modern Hotel. 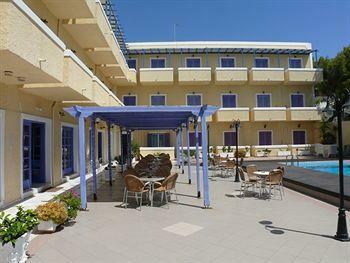 The hotel Katerina is in the very popular resort of Agia Marina. 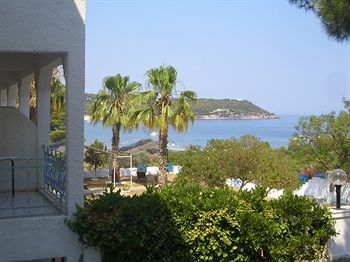 It is conveniently located in a quiet side street of Agia marina, but also 300m from the sandy beach. 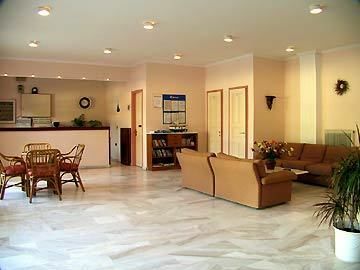 All rooms at Katerina Hotel come with air-conditioning, mini bar and a TV. 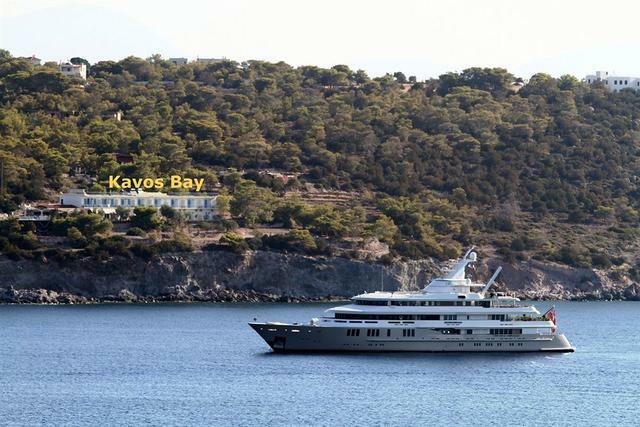 Each has an electric kettle and a private bathroom with a hairdryer and shower. 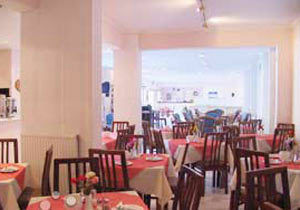 The hotel restaurant is bright and airy and offers a continental breakfast. 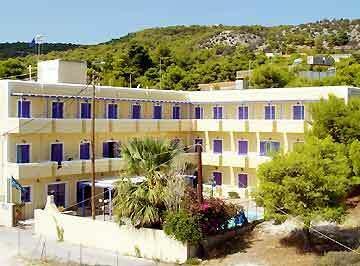 Typical architecture in yellow and purple colours. 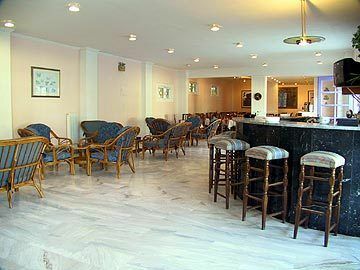 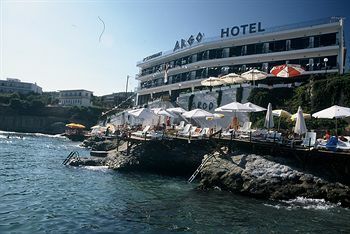 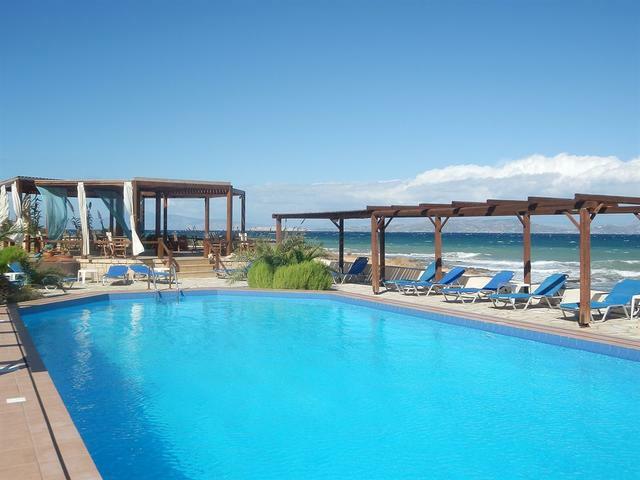 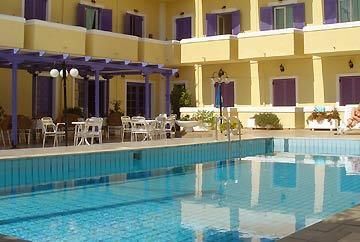 The hotel Katerina is a 3 star hotel on Aegina island in the very popular resort of Agia Marina. 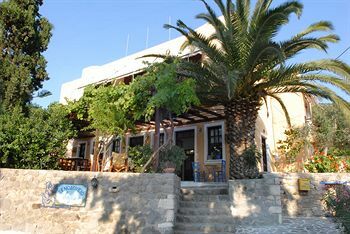 It is conveniently located in a quiet side street of Agia marina, but also 300m from the sandy beach. 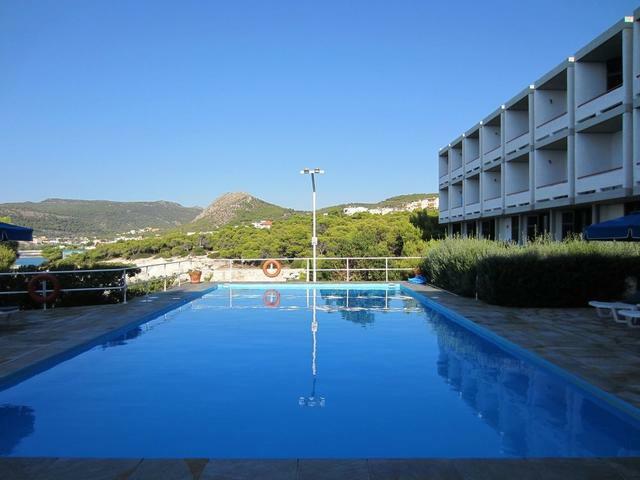 this makes the hotel the ideal choice for your summer holidays or for a relaxing weekend.